Here’s the ninth illustration for the 30 Day Drawing Challenge! Before Game of Thrones my favourite series was Madmen.. but then came this one, with it’s cliffhangers and constantly evolving and changing script which really got me hooked. 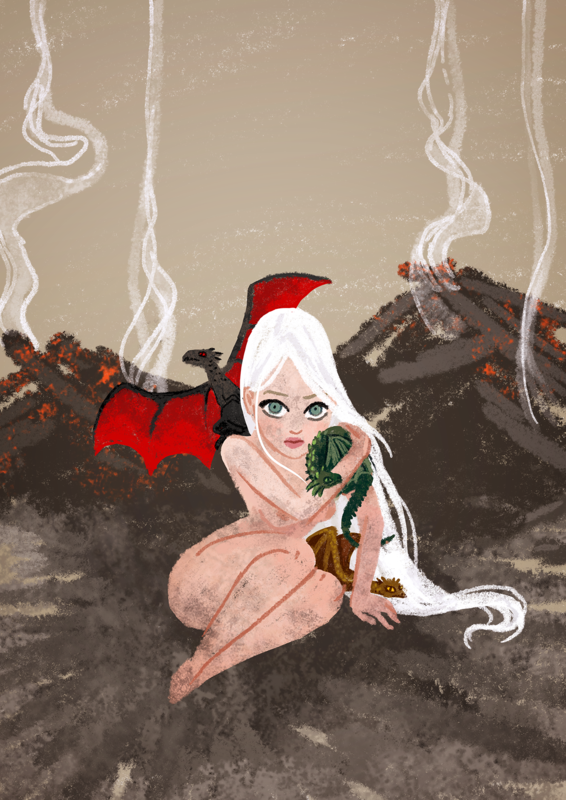 This scene in particular, where Daenerys Targaryen emerges from the fire with her dragons, was the one I was always waiting for since she first appears… and her story is the one that really got me hooked, I think (maybe the teenager me who drew fairies and dragons all over the place is still hiding somewhere in my subconscious)!